Zion National Park is a popular travel destination among local and foreign tourists. But this park goes beyond just a place that offers a wide range of stunning scenery and activities that travelers can enjoy. It also has a very rich history. Since the ancient times, the canyon had been drawing people to it and there is archeological evidence that dates back to 500 AD showing that there were people whom lived in the canyon during those times! The very first to settle in the area is the Anasazi. They settled in the southern part of the canyon where they grew beans and crops and hunted native animals to survive. At the end of the 13th century, the Anasazi disappeared in the canyon. Zion National Park features a well-sculpted and beautiful landscape that dates back a million years ago. The canyon was formed as the water from the Virgin River sifted down to the layer of the sandstones creating the canyon walls. For more than 15 million years, the layers have been a desert. As they’re pushed up high, it resulted to the formation of the Markagunt Plateau. Checkerboard Mesa: This is located at the east side of the park. For photographers and those who want take stunning shots, this is a must place to visit. With its beautiful rock surfaces and patterns, the Checkerboard Mesa will not disappoint you. Angels Landing: This offers the most grandeur and spectacular view. The route going to Angels Landing can be quite challenging as you have to pass steep slopes and a narrow ridge. But once you reach the top, it welcomes you with a breathtaking view of the park. 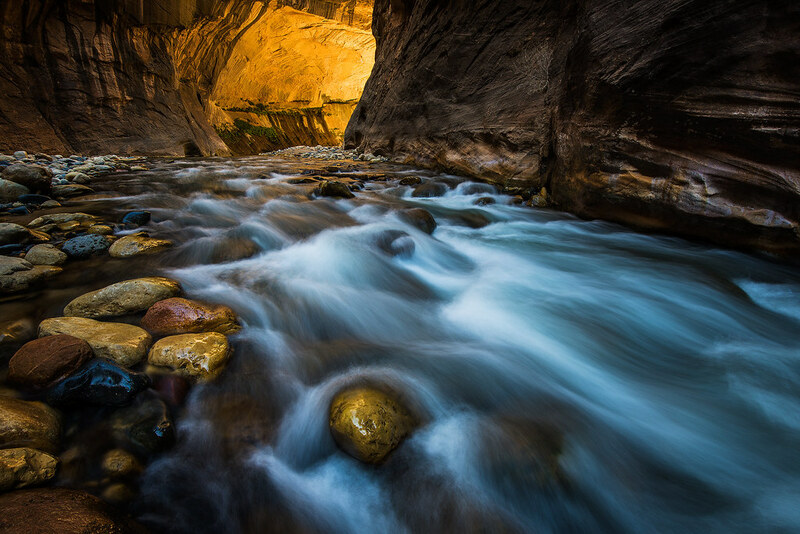 Zion Narrows: Another beautiful spot that you can find in the Zion National Park is the Zion Narrows. Witness the towering canyon walls that reach as high as 2,000 ft on both sides. Kolob Canyons: Known for its rugged and beautiful sandstones, Kolob Canyon is also a must visit spot as it offers you serenity unlike no other. Kolob Canyon features abundant varieties of plants and animals to photograph as well. Zion National Park is the perfect place to visit with all the different activities that it offers. Follow the hiking trails that will surely challenge you, but are definitely worth it. Apart from hiking, experience a wide range of other activities, from fishing to camping, and much more. There are so many things that you can do while you are in the canyon park.